The Northpoint girls basketball team had the ball in the hands of the right player Thursday afternoon. And she delivered the right result. Karlie Hughes hit a 3-pointer with 35.9 seconds left to give the Trojans a 51-49 victory over University School of Nashville in the semifinals of the BlueCross Division 2-A girls state tournament at Allen Arena. The victory gives Northpoint (30-3) a spot in Saturday’s 1 p.m. title game against Knoxville Webb, which beat Ezell-Harding 54-41 in the other semifinal. Hughes’ bucket came moments after she had fouled USN’s Alex Miller on a 3-point shot. Miller made all three to put USN up 49-48. USN had a chance to retake the lead on the next possession, but Katie Roth missed from close range after a well-designed inbounds play. After Ashtyn Baker missed the front end of a one-and-one that could have sealed it for the Trojans, USN hustled the ball downcourt but failed to get a shot off. Senior Kimberlee Keltner scored 19 to lead the Trojans, who lost in the semifinals last year. The Trojans also got a huge boost from eighth-grader Lauren Gross, who made five 3-pointers and finished with 16 points. First game: Thursday at 1:15 p.m. against University School of Nashville. Players to watch: Kimberlee Keltner (5-8, senior); Ashtyn Baker (5-4 freshman); Karlie Hughes (5-6 junior). What to expect: The Trojans are in the big dance for the second year in a row. Their season came to an end in the semifinals and they'll be looking to take things further this time around, behind Keltner -- who coach Gray called "a warrior" after their substate victory against Fayette Academy -- and the talented Baker, who saw extensive playing time as an eighth-grader last year. Northpoint isn't as deep this year but has done well to make the tournament from a very competitive West region. They've played in lots of big games this year and won't fade under the bright lights this weekend. Fun fact: Gray is 54-11 in two seasons at Northpoint (83 percent). Players to watch: Jasmine Cincore (5-8 senior); Elise Holden (5-8 junior); Brynn Holden (5-8 junior). What to expect: The Saints have turned back all challengers and are just two victories from an undefeated campaign. They entered the tournament in similar circumstances last year, carrying a 26-1 record into their semifinal against Brentwood. In that one, Briarcrest missed all 16 of their first-half shots, shot just 7.1 percent for the entire game, and lost decisively. That won't happen this time around. 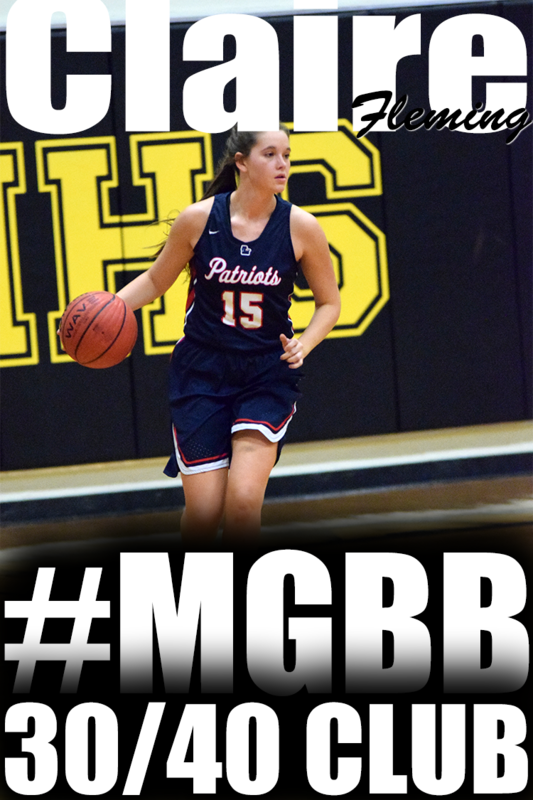 Briarcrest is deeper, can shoot and defend and has a great leader in Cincore, who should win her second straight Miss Basketball award on Saturday. This is a confident bunch with tremendous chemistry and anything less than a championship will be a big disappointment. Fun fact: Cincore, last year's Miss Basketball in D2-AA, was a Central High teammate of last year's Miss Basketball in AAA, current Baylor standout Nina Davis. Aysha Harris (right), who scored 13 points Wednesday night, battles Ridgeway’s Alexus Bryson for a loose ball during the fourth quarter action of the Region 8-AAA girls championship game at Central High School. Jaida Roper and Aysha Harris weren’t going to dwell on the little details — like the way they managed to score in double figures, or that their extremities were still in one piece. All the two Houston stars had to do was look at the plaque that proclaimed them Region 8-AAA girls basketball champions after the Mustangs eked out a 36-27 alley fight with district rival Ridgeway on Wednesday night at Central. The Mustangs (27-7), who hadn’t won a regional title since the middle of the Sarah Watkins era nearly a decade ago, will be at home Saturday to face Dyer County for a berth in next week’s state tournament at Murfreesboro. Ridgeway (28-4), which spent much of the regular season atop The Commercial Appeal’s Dandy Dozen poll, will play its substate game at Region 7 champion Bolton. Roper took charge late in the third quarter and early in the fourth, scoring seven straight points to open a 26-18 lead. It started with a 3-pointer off a drive and dish by Harris. “A game like this against someone you know really well always has a feeling-out process. It was hard getting an opening, but the coach told me to keep shooting and after that 3, I felt better,” said Roper, who finished with 11 points. Harris, whose two 3-pointers were her team’s lone first-quarter scores, hit 5 of 6 free throws down the stretch to finish with 13 points and earn MVP honors. The Mustangs were 12 of 14 from the line for the game and 8 of 10 in the final period. Ridgeway, which lost 43-42 to Houston in the district final, dominated early. The Roadrunners blocked four Houston shots in the opening quarter and took a 14-6 lead on a three-point play by Tierany Paylor to open the second. After that, Houston went into a zone and dared Ridgeway to fire long. “We stopped chasing them all over the floor,” Roper said. And the Roadrunners misfired, scoring just 13 points the rest of the game. Ashley Jackson was the lone Ridgeway player in double figures with 10 points. Region 7-AAA at Bolton: Sophomores Charity Savage and Kerrice Watson each scored 22 points and carried host Bolton to a 67-59 win over Dyer County in the championship game. The Wildcats scored 20 points each in the second and third quarters to ease past the Choctaws. Region 8-AA at Fairley: LeShaundra Somerville had 21 points, and Precious Harvey and Janekia Mason chipped in 13 apiece as the Chargers (26-7) bolted to a 22-8 first-quarter lead on Jackson Northside in a 66-40 romp to the title. Region 8-A at Mitchell: Jackson Christian scored a 57-50 victory over Middleton for the title. Dyer Co. (59) — Crain 20, Enochs 8, Hicks 12, Jackson 6, Owen 3, Spence 8, Anderson 2. Bolton (67) — Kayla Bolden 6, Samaria Grandberry 8, Jaelyan Jones 2, Kiersten Rodgers 5, Charity Savage 22, Taylor Smith 2, Kerrice Watson 22. Jackson Northside (40) — Boyd 9, Hayes 4, T. Long 4, Perkins 13, Thomas 10. Covington (66) — Chelsey Dye 4, Cyeisha Hall 2, Precious Harvey 13, Janekia Mason 13, Treasury Poindexter 10, LeShaundra Somerville 21, Iesha Tipton 3. Records — Jackson Northside 16-13, Covington 26-7. I ran across this awesome story in the Commercial Appeal. Then I found out that the young lady played basketball at Colonial. Then I found out she made All Tournament Team for the MLK tournament this season. Congrats Kaitlin! Keep it up! You are doing Awesome! The gray Honda arrived in front of Midtown’s CashSaver grocery at 4 p.m. Friday, loaded to the hilt with cases of Thin Mints, Samoas, Trefoils and other Girl Scout cookies. Eighth-grader Kaitlin McDade of Troop 10606, her mother, Sonya Johnson, and brother Korbin McDade scrambled with the efficiency of a NASCAR pit crew: Unfolding the green card table, stacking the cookies atop and below it, placing side-by-side a wood box for the cash and a plastic bag for coins, and leaning three folding chairs against a column. Those chairs — as if symbols of mediocrity — would stay folded and unused for two hours. That’s the technique of a 14-year-old Colonial Middle School student who sold 3,013 boxes of cookies last year, 223 more than second place in the 59-county Heart of the South Girl Scouts Council. It’s hard to turn them down and harder still to avoid them this time of year. Like a late-winter harbinger of the spring, nearly 7,500 of the council’s Girl Scouts post themselves in front of businesses for four consecutive weekends. Friday will kick off Weekend No. 2, and March 16 is the last day. The kindergarten through 12th-grade girls in the Heart of the South Council sold an average of 211 boxes last year. That’s among the highest council averages in the nation. Kaitlin’s goal is to sell more than 3,100 boxes this year. She has to. Her mother is on the hook for the $10,850 worth of cookies they ordered. What does not sell they must eat, literally or figuratively. Kaitlin pre-ordered 1,100 more boxes than any other Scout in the council. That’s the kind of can-do goal-setting that impresses Pam Routh. The Commercial Appeal asked the former president of the Sales & Marketing Society of the Mid-South to observe Kaitlin selling cookies and offer any analysis. Routh, vice president of sales for Start 2 Finish Event Management, did one better. She approached Kaitlin’s cookie table as a potential customer. Kaitlin had never met Routh. “I’d hire her,” Routh said after buying three boxes and then observing Kaitlin for an hour. Tables, chairs, even arms crossed on the chest, can be barriers between a seller and potential customers. “Also, you do great in saying ‘Thank you,’ ’’ Routh told Kaitlin. The Girl Scouts say they owe huge ‘‘thank you’s’’ to businesses like Kroger, Wal-Mart, Petco, Hollywood Feed, Huey’s and others who allow them to sell in front of their doors. “Without the support of local retailers and store owners we would not be able to be successful,” said Kristen Posey Russell, spokesman for the Memphis-based Heart of the South Council. Cookie sales are vital to Girl Scouts, funding 80 percent of the operating budget, Russell said. The council sold a record 1,689,959 boxes — $5.9 million worth — in 2012, the Girl Scouts’ centennial year, and nearly 1.6 million boxes — nearly $5.5 million worth — last year. Selling cookies teaches girls five key skills, she said: Goal-setting, decision-making, money management, people skills and business ethics. Kaitlin has also learned the value of hard work. She’s sacrificing her entire weekends from mid-February to mid-March to sell cookies either in front of stores or on the busy corner of Park at Semmes. But she takes them everywhere she goes throughout the week. When her family took her grandmother to the hospital last week, Kaitlin sold 15 boxes to a nurse. “You like winning?” Routh asked. “Yes I do,” Kaitlin said. Holly Springs basketball team is 2 victories away from making a trip to this year's Mississippi State Tournament. Along the journey, members of the team have been racking up awards. Coach Kilgore was named the 2013-14 Mississippi Association Region 2-3A Coach of The Year. Sophomore, Starlandria Walton, was named Region MVP and Offensive MVP. Starlandria, Lakendra Bell, Brandi Woodson, and Kenyada Burns received All Region Team honors. I received an email from Ridgeway's senior guard, Ashley Jackson . She has committed to Old Dominion. I am happy to announce I have made a verbal commitment to Old Dominion University. I chose ODU because Coach Barefoot has created excitement around the program, and I want to be a part of helping ODU return to a national prominent program. Ashley will be teaming back up with former Ridgeway standout, Odegua Oigbokie. Championship, Jackson Christian vs. Middleton, 7 p.m.
Championship, Covington vs. Jackson North Side, 7 p.m.
Championship, Dyer County vs. Bolton, 7 p.m.
For those into the Pick 4 lottery, you might want to try the numbers 5-6-4-5. Ridgeway’s girls pulled off the difficult feat of defeating White Station for the third time, scoring a 56-45 victory in the Region 8 semifinals at Central. And now the Roadrunners get a chance to settle the score with a Houston team that last week showed just how tough it can be. The Mustangs, who tripped up Ridgeway in their third meeting last week in the District 15 finals, earned themselves a date with the Roadrunners in Wednesday’s 7 p.m. final — thanks to a 56-45 win over Whitehaven. Ridegeway got 16 points from senior Ashley Jackson and nine each from sophomore Brandi Beasley and junior Erin Foster to equal its 28-3 mark from last season — which ended in a semifinal loss to Overton. “We know we want to do better than we did last year, and we’ve been striving for that chance,” Jackson said. Houston (26-7) and Whitehaven (19-10) muddled through a second and third quarter where the two teams combined for 31 total points. But the Mustangs came out of the period with a 33-25 lead, got to the free-throw line early in the fourth quarter and hit 15 of their last 18 tries. Sophomore Jaida Roper had 20 points, including 5-of-6 free throws down the stretch. Senior Aysha Harris added 13 including nine in a final period where she was 7-of-8 from the line — after missing four of her first six. “I was glad for all those free throw drills about 30 seconds into the (fourth) quarter,” Harris said. Tournament host Bolton will play in Wednesday’s 7 p.m. title game after eliminating Munford, 54-47. Charity Savage poured in 34 points to lead Bolton (20-8), which will host Dyer County. The Choctaws ousted Hardin County, 66-46. Precious Harvey scored 20 points and Treasury Poindexter added 15 as Covington (25-7) advanced to Wednesday’s title game at Fairley with a 65-50 victory over Craigmont. Daja Scurlock had 18 for the Chiefs, who end the year 23-7. The Chargers will face Jackson North Side for the championship; JNS defeated Jackson Liberty Tech 52-33. Horn Lake and Olive Branch will meet for the fourth time this season after both teams won their North Half semifinal games. A’Queen Hayes scored 15 as the Eagles (25-1) routed South Panola, 77-25. Olive Branch advanced past Tupelo, 74-62. Munford (47) — Phenicia Howard 6, Shania Johnson 4, Precious Mills 16, Lindsey Owen 2, Kierra Richardson 3, Alex Wherry 16. Bolton (54) — Samaria Grandberry 2, Jaelyan Jones 2, Charity Savage 34, Taylor Smith 2, Heaven Thompson 6, Kerrice Watson 8. Hardin Co. (46) — Casey 2, Simmons 3, McGee 16, Gray 7, McAfee 4, Strickland 2, Robertson 5, Hunt 3, Timberman 2, Shannon 2. Dyer Co. (66) — Crain 2, Enochs 22, Hicks 10, Jackson 8, Owen 2, Spence 9, Thompson 9, Anderson 3, Brandon 1. 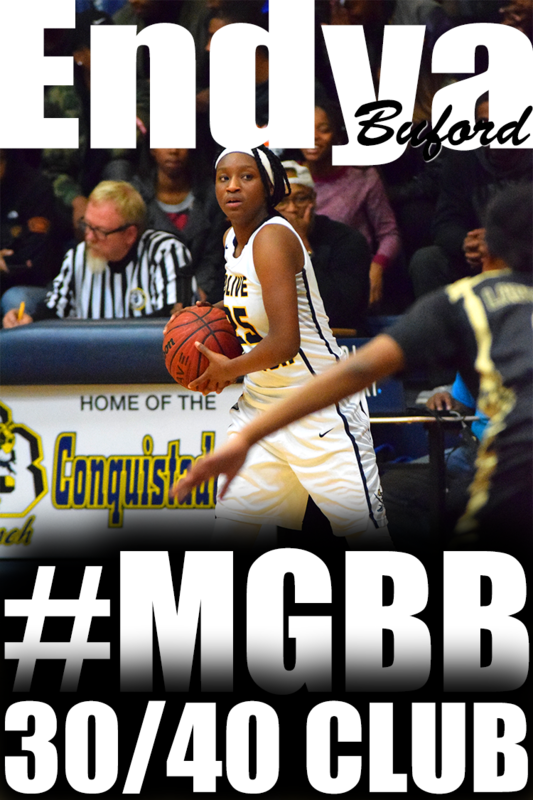 Whitehaven (45) — Lake Blache 14, Tiara Coleman 14, Erica Dean 6, Ebony Malone 2, Maia McCoy 7, Tia Polk 2. Houston (56) — Cheridan Burroughs 2, Aysha Harris 13, Marissa Knox 6, Sydney Malone 4, Madeson McCaster 6, Alise Parker 5, Jaida Roper 20. Ridgeway (56) — Brandi Beasley 9, Oreona Brown 6, Alexis Bryson 5, Eryn Foster 9, Breounna Humphrey 6, Ashley Jackson 16, Tierany Paylor 5. White Station (45) — Courtney Banks 15, Miyah Barnes 7, Allanna Black 4, Damiah Griffin 6, Taylor Hayes 4, Brazia Jones 1, Emanye Robertson 8. Craigmont (50) — Kiara Caswell 6, Danielle Conley 9, Lakeidra Greer 2, Tijuana Griggs 3, Miara Holliday 6, Morgan Morris 6, Daja Scurlock 18. Covington (65) — J’la Brandon 2, Chelsey Dye 5, Precious Harvey 20, Janekia Mason 7, Treasury Poindexter 15, LeShaundra Somerville 14, Tierra Williams 2. Records — Craigmont 23-7, Covington 25-7. South Panola (25) — Sydney Morgan 4, Alexis Smith 6, Naporshue Strong 3, Jasmine Wright 6, Ty’raveen Collins 4, Shakala Burdette 2. Horn Lake (77) — Shaniqua Adams 2, Olivia Cunningham 7, Tranika Echols 11, Treasure Evans 8, A’Queen Hayes 15, Tae’lour Richardson 9, Alondrea Rush 9, Alexyse Thomas 8, Erika Toney 8. Records — Horn Lake 25-1. For the second year in a row, the Northpoint girls are headed to the final four. The Trojans (29-3) got a big game from Kimberlee Keltner and rode some terrific fan support to defeat Franklin Road Academy, 47-44, in a Division 2-A substate game Friday at Northpoint. The Trojans will open tournament play Thursday at Allen Arena on the campus of Lipscomb University. Keltner scored 21 to lead the Trojans, who lost in the semifinals last year to end the season 25-8. Freshman Ashtyn Baker added 12. "Kimberlee Keltner was a warrior," said Trojans coach Barry Gray. "She was really strong with the ball in her hands. "It was a great defensive struggle, a very physical game. They've been to the last four state championship games (but) I think we played as hard as we've played all year. And our crowd was just unbelievable." Northpoint will be the Memphis area's lone representative in D2-A. Ezell-Harding defeated Harding Academy, 48-34 despite 15 points from the Lions' Antoinette Lewis. Knoxville Webb reached the semifinals for the 14th year in a row, beating St. Mary's 61-24. University School of Nashville eliminated ECS, 59-35. In Division 2-AA, Harpeth Hall ousted St. Benedict, 58-33, and Nashville Ensworth ended St. Agnes' season, 48-23. Briarcrest Christian School's Elise Holden bends over backwards in a scramble to get control of the ball as the undefeated Saints hosted the Father Ryan Irish during substate action Friday night. Twenty-eight down, two to go for the Briarcrest girls basketball team. The Saints booked another trip to the Division 2-AA state tournament Friday and remained unbeaten, pulling away from the free-throw line late to defeat visiting Nasvhille Father Ryan Friday, 59-44. The Saints got a huge effort from Jasmine Cincore, a Nebraska signee who will be attempting to win her second straight Miss Basketball title next week. Settling down after her team started slowly, she scored 28 points, going 13 of 16 from the line. The Saints went 17 of 18 from the line in the fourth quarter to finally pull away from the pesky Irish (18-9). Brynn Holden scored 12 for the Saints, and twin sister Elise Holden added 11. Briarcrest will be joined at state next week by Northpoint, which advanced to the D2-A tournament for the second year in a row with a 47-44 victory over Franklin Road Academy. Kimberlee Keltner had 21 points to lead the Trojans, who will take a 29-3 record into Thursday’s opener. Freshman Ashtyn Baker chipped in with 12 points. “Kimberlee Keltner was a warrior,” said Trojans coach Barry Gray. “She’s was really strong with the ball in her hands. ... It was a great defensive struggle. Memphis’ other private school hopefuls saw their seasons end. In D2-A, Ezell-Harding defeated Harding, 48-34, despite 15 points from freshman Antoinette Lewis. University School of Nashville eliminated ECS, 59-35, and Knoxville Webb ended St. Mary’s season, 61-24. In D2-AA, Harpeth Hall ousted St. Benedict, 58-33, and Ensworth defeated St. Agnes, 48-23. Alexus Bryson and Breounna Humphrey each scored 15 points as Ridgeway (25-2) advanced to the semifinals with a 67-62 win over Central, which got a game-high 18 from Tia Wooten. ... Emanye Robertson scored 18 as White Station (21-7) pulled away late to beat Collierville, 63-49. 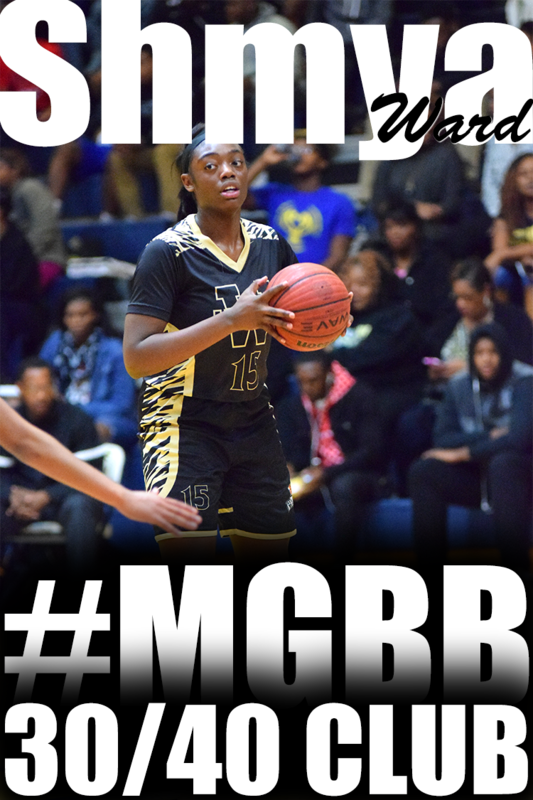 ... Laka Blache scored 10 as Whitehaven edged Germantown, 48-47. Brittany Parmenter had 22 for the Red Devils ... Houston outscored Overton by eight in the fourth quarter to win, 45-41. Charity Savage and Heaven Thompson had 12 points each to lead Bolton (19-8) into the semifinals, 52-38 over Brighton. ... Kierra Richardson scored 14 to lead Munford (18-12) past Bartlett, 50-34. ... Hardin County ended Arlington’s run, 41-37. Torrie Sewell had 13 to lead the Tigers and Raylin Starks had 12. Morgan Morris had 23 points and Danielle Conley and Daja Scurlock added 15 apiece as Craigmont (23-6) downed Haywood, 78-70, to advance to the semis. ... Janeika Mason scored 21 to lead Covington to a 71-35 victory over Trezevant. ... Despite 30 points from Joslynn Basemore, Manassas (14-11) was eliminated by Jackson North Side, 73-58. Despite 40 points from Derica Wiggins, Oakhaven was eliminated by Decatur Riverside, 62-54. Horn Lake (24-1) won the Region 1-6A championship, getting 21 points from Olivia Cunningham to defeat Olive Branch, 72-43 ... Clarksdale won the 1-5A crown, beating Center Hill 47-40 despite 20 from Kiara Golden. Bartlett (34) — Kelsey Baker 5, Stella Gill 2, Jessica Jackson 11, Tavia Rodgers 5, Shondria Scruggs 11. Munford (50) — Phenicia Howard 8, Johnna Jones 2, Precious Mills 4, Lindsey Owen 11, Kierra Richardson 14, Alex Wherry 11. Hardin Co. (41) — Lee 6, Casey 6, Simmons 6, McGee 13, Gray 10. Arlington (37) — Reagyn Branch 6, Ashley Lee 6, Torrie Sewell 13, Raylin Starks 12. Brighton (38) — Bailee Beard 2, Danielle Collins 3, Kaelyn Forbes 2, Lilly Hill 3, Alyssa Hunt 5, Shayna Johnson 10, Jada Johnson 3, Makayla Rose 10. Bolton (52) — Kayla Bolden 5, Samaria Grandberry 11, Jaelyan Jones 2, Kiersten Rodgers 1, Charity Savage 12, Taylor Smith 5, Heaven Thompson 12, Kerrice Watson 4. Collierville (49) — Amber Baldwin 4, Jessica Brown 21, Kara Harbin 6, Kennedy Kivisto 3, Megan Loden 1, Kyra Pryor 8, Madison Rozier 6. White Station (63) — Courtney Banks 15, Miyah Barnes 4, Allanna Black 2, Damiah Griffin 11, Brazia Jones 2, Dejah Montgomery 5, Lakyia Parker 6, Emanye Robertson 18. Records — Collierville 12-17, White Station 21-7. Germantown (47) — Brianna Burks 9, Takira Clay 4, Brianna Cowans 8, Brittney Parmenter 22, Scarlett Sadler 4. Whitehaven (48) — Lake Blache 10, Brandy Clay 2, Tiara Coleman 7, Erica Dean 8, Ebony Malone 2, Maia McCoy 4, Tia Polk 4, Orya Turner 4, Ariel Williams 5, Brianna Shaw 2. Overton (39) — Rodrea Echols 6, Kyler Green 18, Jalisa Jones 6, Kayla Williams 9. 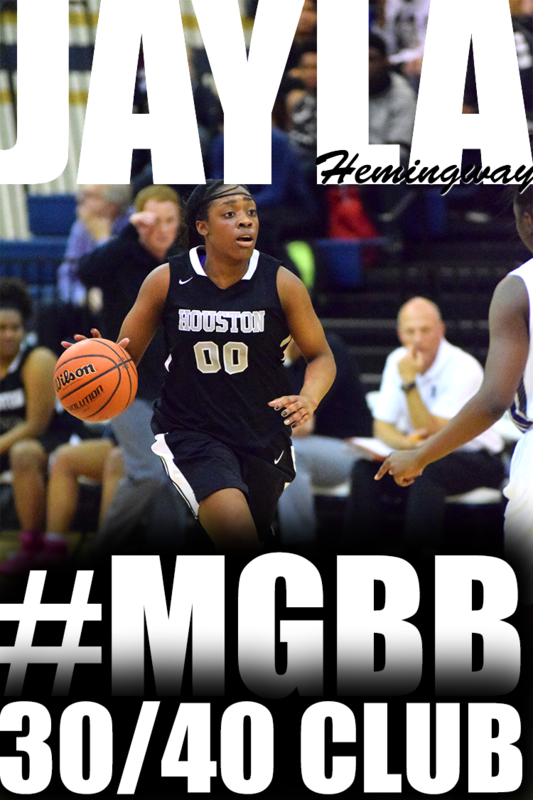 Houston (45) — Cheridan Burroughs 5, Aysha Harris 14, Marissa Knox 2, Alise Parker 6, Jaida Roper 18. Records — Overton 21-9, Houston 25-7. Central (62) — Yasmeen Brady 2, Meme Hill 15, Darriel Johnson 10, Dereka Johnson 17, Tia Wooten 18. Ridgeway (67) — Brandi Beasley 12, Oreona Brown 4, Alexis Bryson 15, Eryn Foster 5, Breounna Humphrey 15, Ashley Jackson 9, Tierany Paylor 7. Manassas (58) — Joslynn Basemore 30, Ranisha Brown 10, Amisha Gales 6, Shyanne Stevenson 10, Jasmine Walker 2. Jackson Northside (73) — Boyd 6, Cole 5, Hayes 4, K. Long 5, T. Long 10, Perkins 26, Thomas 17. Trezevant (35) — Ashleigh McGhee 5, Kahdejah Stevens 13, Kourtney Walton 4, Marcee Williams 10, Andrea Willis 3. Covington (71) — J’la Brandon 4, Chelsey Dye 4, Precious Harvey 10, Malia Johnson 2, Janekia Mason 21, Treasury Poindexter 11, LeShaundra Somerville 19. Records — Trezevant 15-12, Covington 24-7. 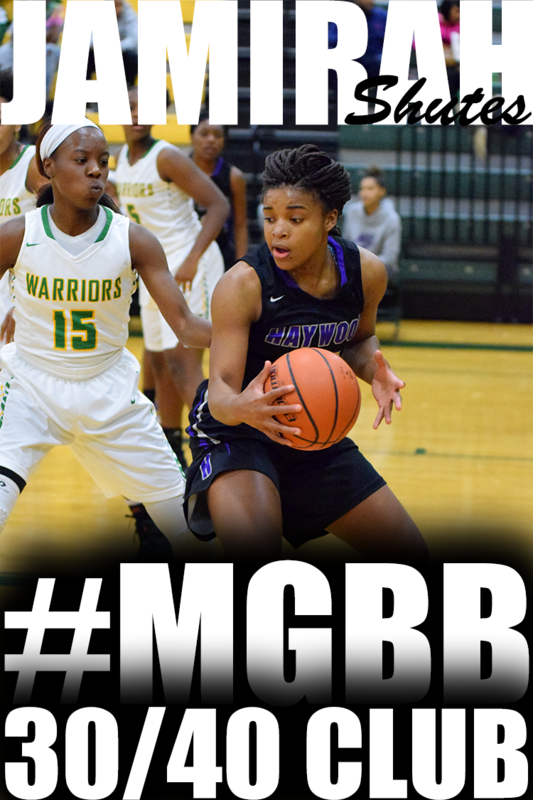 Haywood (70) — Summer Cunningham 34, Idalis Flagg 12, Alecia Johnson 9, Kayla Shaw 4, Dasija Wilson 8, Wonderica Young 3. Craigmont (78) — Kiara Caswell 8, Danielle Conley 15, Lakeidra Greer 7, Tijuana Griggs 2, Miara Holliday 8, Morgan Morris 23, Daja Scurlock 15. Scotts Hill (46) — S. Maness 6, Roberts 24, Reeves 15, Gant 1. Mitchell (42) — Marquesha Fennell 14, Demiya Grandberry 8, Erica Jackson 9, Derinisha Taylor 11. Riverside (62) — Chumney 8, Walker 10, Haggard 3, Linton 13, Pulliam 17, Scott 11. Oakhaven (54) — Tenetria Brown 4, L. Jones 1, Mar’sheal Lewis 3, B.J. Wells 6, Derica Wiggins 40. Father Ryan (44) — Audrey Budge 6, Emma Collins 2, Sarah Gromos 15, Mary Frances Hoots 9, Katie Jordan 5, Allison Proctor 3, Abigail Wehby 2, Kelly Bishop 2. Briarcrest (59) — Jasmine Cincore 28, Brynn Holden 12, Elise Holden 11, Morgan Hunt 2, Kathryn Newman 3, Kalynn Parks 1, Gabby Salazar 2. Records — Father Ryan 18-9, Briarcrest 28-0. St. Agnes (25) — Caroline Cook 4, Olivia Gattuso 5, Lizzie Harris 5, Wallis Jenkins 3, Amanda Lammey 8. Ensworth (48) — Cambridge 7, Smith 9, Witson 3, Pittman 7, Nichols 13, Slay 9. Records — St. Agnes 20-11, Ensworth 23-2. Harpeth Hall (58) — L. Himes 10, S. Hopp 4, S. Nutter 12, K. Potts 8, R. Potts 12, L. Johnson 5, C. Rutherford 3, W. Hamilton 2, A. Williams 2. St. Benedict (33) — Bailey Coppedge 2, Darreille Nelson 3, Courtney Parker 2, Erin Peel 3, Braxton Powers 7, Theresa Stoddard 15, Camille Trice 1. Records — Harpeth Hall 16-8, St. Benedict 8-18. Ezell-Harding (48) — Beaty 7, Feunstar 5, Grimes 2, Harmon 12, Johnson 10, Sneed 12. Harding (34) — Kelsi Elkins 4, Anna Horner 2, Antoinette Lewis 15, Rachel Maynard 10, Callie Stubbs 3. Franklin Road Aca. (44) — Pierce 2, Sawyers 10, Hall 4, Canaday 10, Bell 18. Northpoint (47) — Ashtyn Baker 12, Lindsay Bramlitt 2, Lauren Gross 6, Karlie Hughes 4, Kimberlee Keltner 21, Andrea Sparkman 2. Records — Franklin Road Aca. 22-11, Northpoint 29-3. Olive Branch (43) — Dominique Baker 12, Teal Battle 8, Savannah Geeslin 9, Myah Leflore 6, Myah Taylor 8. Horn Lake (72) — Olivia Cunningham 21, Tranika Echols 13, Treasure Evans 7, A’Queen Hayes 14, Alondrea Rush 7, Alexyse Thomas 8, Erika Toney 2. Records — Horn Lake 24-1. Clarksdale-Miss. (47) — K. Arnold 15, C. Campbell 7, C. Hammonds 2, R. Harper 8, J. Jackson 2, D. Johnson 7, D. Monix 6. Center Hill (40) — Erin Cross 13, Mackenzie Fennell 1, Kiara Golden 20, Teirsten Saunders 6. Records — Center Hill 19-8. Pleasant View (47) — Candace Ailworth 5, Claire Ailworth 2, Riley Bell 13, Abbie Lagate 2, Haley Warmath 3, Alexis Duncan 16, Cheyenne Fry 6. Central Baptist (27) — Annie Bell 3, Erin Gay 16, Lena Lacy 5, Emily Russell 3. Records — Central Baptist 3-13. Confirm game times with local media or individual schools. Game times can change. Here is the girls all-tournament team for District 16-AA. Here are the all-region teams for Division 2-A West girls, along with the all-tournament team. Whitehaven (59) — Lake Blache 18, Tiara Coleman 6, Erica Dean 10, Maia McCoy 8, Tia Polk 4, Orya Turner 3, Ariel Williams 7, Destinique Williams 3. White Station (73) — Courtney Banks 12, Miyah Barnes 14, Damiah Griffin 9, Taylor Hayes 1, Brazia Jones 3, Dejah Montgomery 4, Lakyia Parker 4, Emanye Robertson 26. Records — White Station 20-7. Overton (38) — Rodrea Echols 3, Kyler Green 12, Fontennelle Walker 9, Kayla Williams 11, Anterrika Willis 3. Central (40) — Yasmeen Brady 4, Meme Hill 14, Darriel Johnson 4, Dereka Johnson 8, Tia Wooten 10. Raleigh-Egypt (63) — Brenda Fields 6, Corlisha Howard 7, Jerica Isom 6, Irena James 4, Manaya Jones 14, Kimberly Reed 17, Jasmine Rhodes 9. Craigmont (56) — Natalia Campbell 2, Danielle Conley 9, Lakeidra Greer 2, Tijuana Griggs 6, Miara Holliday 9, Alexis McFarland 2, Morgan Morris 10, Daja Scurlock 16. 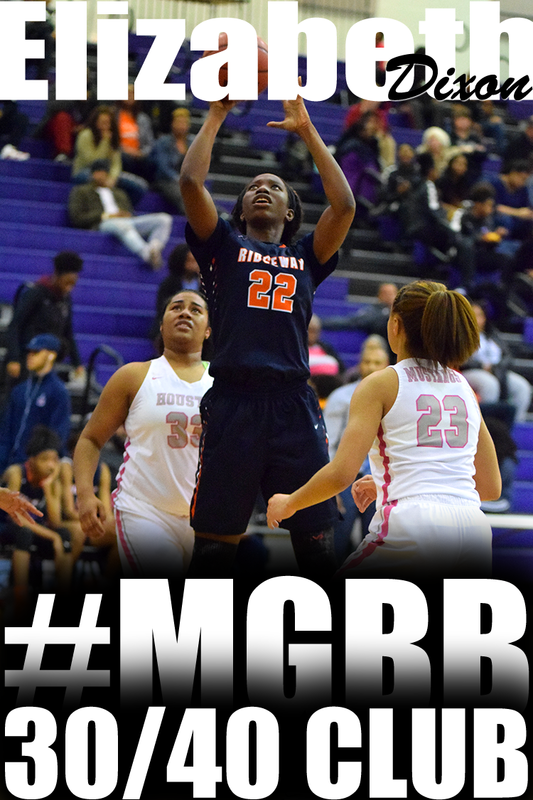 Manassas (56) — Joslynn Basemore 6, Ranisha Brown 20, Rakeeva Curry 3, Shyanne Stevenson 25, Jasmine Walker 2. Trezevant (50) — Ashleigh McGhee 2, Kahdejah Stevens 21, Kourtney Walton 7, Marcee Williams 17, Andrea Willis 3. Mitchell (45) — Marquesha Fennell 8, Demiya Grandberry 10, Erica Jackson 2, Nicole Johnson 6, Dominique McAdory 5, Kierra McCollins 8, Derinisha Taylor 6. Oakhaven (66) — Tenetria Brown 6, Mar’sheal Lewis 14, Bridget Webb 3, B.J. Wells 9, Derica Wiggins 34. Horn Lake (56) — Brayanta Conley 2, Olivia Cunningham 17, Treasure Evans 3, A’Queen Hayes 12, Tae’lour Richardson 1, Alondrea Rush 3, Alexyse Thomas 10, Erika Toney 8. Southaven (37) — Adrianna Brown 2, Lulu Lane 7, Astraea Moore 10, Nyla Smith 2, Tamera Staples 12, Kayla Wilson 4. Records — Horn Lake 23-1. 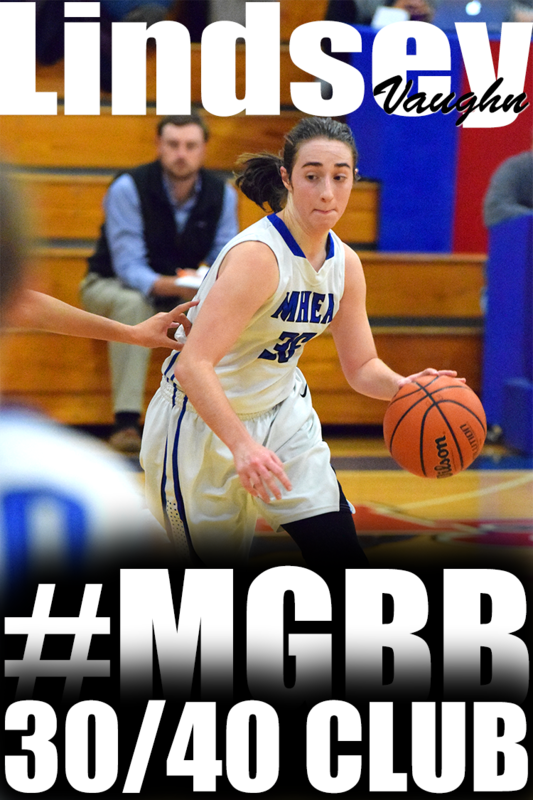 Here are the all-District 16-A girls basketball teams, as voted on by the league's coaches. Cordova (51) — Michaela Campbell 15, Zakyia Head 9, Khari Kirkwood 7, Nijahla Maples 1, Jaszmine Mohammad 14, Jerhonise Rollins 1, K’yanna Terry 4. 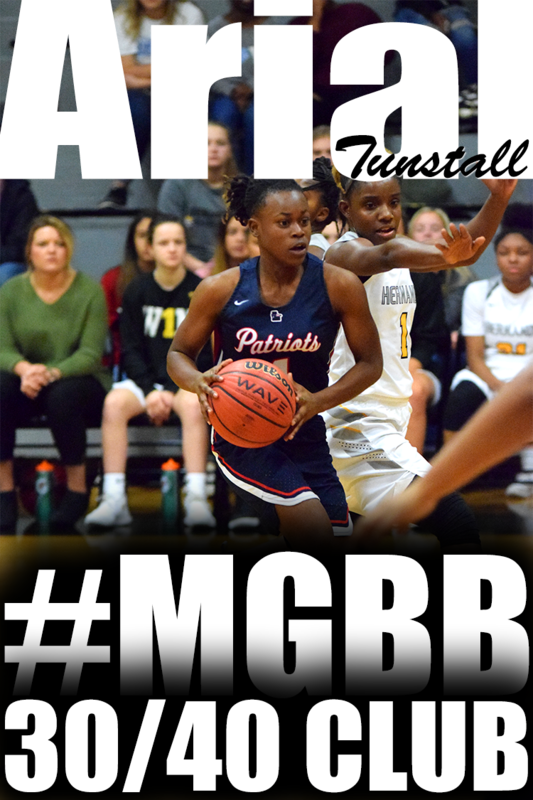 Bartlett (53) — Stella Gill 3, Jessica Jackson 11, Shelby Organ 2, Tavia Rodgers 17, Shondria Scruggs 15, Elizabeth Williams 5. MAHS (36) — Schuechia Anderson 4, Courtney Berry 2, Kendall Berry 5, Jackie Blackwell 6, Kierra Chambers 9, Carta Collins 4, Crystal Lindsey 2, Tysiana Wilson 4. Washington (58) — Dominique Chatman 12, Rakesha Curry 18, Kyla Harris 6, Myneisha Johnson 1, Tierney Keaton 8, Deneshia Lane 5, Lavesha Parish 6, Niesha Thomas 2. Records — MAHS 15-14, Washington 15-14. Harding (33) — Kelsi Elkins 2, Alexis Franklin 5, Valecia Harris 3, Anna Horner 11, Antoinette Lewis 10, Rachel Maynard 2. Northpoint (58) — Ashtyn Baker 18, Lindsay Bramlitt 10, Lauren Gross 3, Karlie Hughes 13, Kimberlee Keltner 10, Hannah Shafer 2, Andrea Sparkman 2. St. Mary’s (30) — Abby Huber 8, Mary Caroline Newman 4, Kaylan Pugh 18. ECS (44) — Kate Jamison 3, Caroline Jamison 1, Emily Lytle 16, Sarah Lytle 17, Molly Martin 2, Avery Sippel 5. Lancaster Christian (58) — Stockton 6, Lawson 6, Wright 16, Floyd 10, Neal 3, Mayeaux 11, Ma. Cook 2, My. Cook 2, Boyd 2. MHEA (68) — Jamie Crum 13, Torri Lewis 21, Bailey Wilkes 34. Cordova (30) — Michaela Campbell 19, Zakyia Head 4, Jaszmine Mohammad 1, Jerhonise Rollins 1, K’yanna Terry 5. Arlington (43) — Reagyn Branch 10, Maya Brown 2, Mirrakohl Johnson 2, Cheiyanne Norton 8, Torrie Sewell 14, Samantha Souers 3, Raylin Starks 4. Bartlett (40) — Kelsey Baker 4, Madison Carroll 1, Stella Gill 1, Jessica Jackson 8, Shelby Organ 2, Tavia Rodgers 8, Shondria Scruggs 16. Bolton (52) — Destiny Arnold 6, Kayla Bolden 3, Samaria Grandberry 6, Jaelyan Jones 6, Kiersten Rodgers 4, Charity Savage 13, Taylor Smith 3, Heaven Thompson 7, Kerrice Watson 4. Jackson Northside (34) — Boyd 2, K. Long 2, T. Long 5, Perkins 4, Thomas 18, Greer 3. Covington (62) — Kiara Booker 2, J’la Brandon 2, Chelsey Dye 3, Precious Harvey 6, Alexis Johnson 2, Janekia Mason 9, Treasury Poindexter 10, LeShaundra Somerville 25, Iesha Tipton 1, Tierra Williams 2. Records — Jackson Northside 12-13, Covington 23-7. Manassas (47) — Joslynn Basemore 10, Ranisha Brown 5, Shyanne Stevenson 25, Jasmine Walker 7. Craigmont (64) — Natalia Campbell 1, Danielle Conley 21, Taylor Crutcher 2, Keveona Fayne 2, Lakeidra Greer 8, Tijuana Griggs 6, Miara Holliday 4, Morgan Morris 7, Daja Scurlock 13. Trezevant (58) — Ashleigh McGhee 9, Kahdejah Stevens 26, Kourtney Walton 5, Marcee Williams 15, Andrea Willis 3. Raleigh-Egypt (71) — Brenda Fields 15, Corlisha Howard 14, Jerica Isom 2, Manaya Jones 28, Doriel Ray 2, Kimberly Reed 4, Jasmine Rhodes 6. Mitchell (53) — MyQuinice Caswell 2, Marquesha Fennell 6, Demiya Grandberry 12, Erica Jackson 8, Dominique McAdory 9, Kierra McCollins 8, Derinisha Taylor 8. Washington (37) — Dominique Chatman 12, Rakesha Curry 13, Tierney Keaton 7, Deneshia Lane 5. Records — Mitchell 13-12, Washington 18-8. Harding (28) — Kelsi Elkins 7, Alexis Franklin 2, Anna Horner 4, Antoinette Lewis 10, Rachel Maynard 3, Morgan Murphy 2. ECS (27) — Kate Jamison 3, Caroline Jamison 1, Emily Lytle 6, Sarah Lytle 8, Avery Sippel 9. St. Mary’s (41) — Ellen Cowens 6, Kaylan Pugh 27, Wesley Richards 4, Mary Harper Robinson 4. Northpoint (55) — Ashtyn Baker 16, Lindsay Bramlitt 2, Allie Enders 2, Lauren Gross 2, Karlie Hughes 16, Kimberlee Keltner 15, Andrea Sparkman 2. Early-round games take place at campus sites and the semifinals and finals take place at Fayette Academy. Consolation, St. Mary's vs. ECS, 6 p.m.
Championship, Harding vs. Northpoint, 7:30 p.m.
Consolation, Cordova vs. Bartlett, 6 p.m.
Championship, Bolton vs. Arlington, 6 p.m.
First-round games will be played at campus sites and the semifinals and finals will be played at Wooddale. Consolation, Germantown vs. Collierville, 3 p.m.
Championship, Houston vs. Ridgeway, 6 p.m.
Center Hill (52) — Erin Cross 13, Reagan Elliott 5, Kiara Golden 21, Kirmesha Oliver 6, Teirsten Saunders 1, NeNe Whiting 6. Southaven (47) — Adrianna Brown 6, Lulu Lane 15, Astraea Moore 11, Gabby Morgan 4, Tamera Staples 7, Kayla Wilson 4. Records — Center Hill 19-7. Hernando (79) — Allie Bierman 9, Miracle Cobb 17, Kaitlin Jones 8, Aaliyaha Thornton 23, M. Reynolds 22. Lewisburg (60) — Lindy Anderson 1, Madison Baldwin 20, Janice Farris 5, Destiny Gardner 10, Ashlea Harvey 13, Molly Murphy 9, Kelsey Watkins 2. Collierville (35) — Jessica Brown 15, Vanessa Christensen 1, Kara Harbin 13, Megan Loden 2, Kyra Pryor 1, Madison Rozier 3. Ridgeway (65) — Brandi Beasley 11, Oreona Brown 4, Alexis Bryson 14, Breounna Humphrey 12, Ashley Jackson 11, Tierany Paylor 4, Ciara Pettis 4, Kiara Pettis 5. Germantown (44) — Brianna Burks 8, Takira Clay 6, Brianna Cowans 8, Brittney Cowans 2, Brittney Parmenter 16, Scarlett Sadler 4. Houston (66) — Cheridan Burroughs 2, Mary Collins 6, Aysha Harris 12, Marissa Knox 8, Sydney Malone 7, Madeson McCaster 6, Alise Parker 11, Jaida Roper 12, Shaela Gardner 2. Westwood (24) — Angelina Blue 8, Breanna Boyd 6, Marnique Burton 8, Cyrsta Nelson 2. Craigmont (70) — Natalia Campbell 1, Danielle Conley 8, Keveona Fayne 7, Lakeidra Greer 16, Tijuana Griggs 2, Miara Holliday 10, Alexis McFarland 6, Morgan Morris 8, Tiara Reed 2, Daja Scurlock 10. Hutchison (38) — Anna Amagliani 3, Rainey Charbonnet 2, Griffin Gearhardt 4, Carolyn Kelley 4, Macy McCullough 10, Reba Moody 10, Carter Stovall 5. St. Agnes (59) — Caroline Cook 8, Olivia Gattuso 4, Lizzie Harris 2, Wallis Jenkins 11, Amanda Lammey 18, Nicole Mabry 2, Kindall Ross 1, Sarah Sneed 10, Sarah Robertson 3. Records — St. Agnes 20-10. St. Mary’s (56) — Ellen Cowens 6, Abby Huber 9, Kelsie Jones 2, Mary Caroline Newman 6, Kaylan Pugh 30, Wesley Richards 2, Mary Harper Robinson 1. USJ (54) — H. Hall 8, M. Hall 6, Jones 18, Smith 22. Records — St. Mary’s 13-8, USJ 20-7. Fayette Aca. (40) — Amber Johnson 3, Lauren Lessel 9, Rebekah Moffatt 5, Kayli Skelton 12, Margy Westbrook 11. Northpoint (59) — Ashtyn Baker 12, Lauren Gross 15, Karlie Hughes 15, Kimberlee Keltner 11, Hannah Shafer 2, Andrea Sparkman 4. Records — Fayette Aca. 18-11, Northpoint 26-3. Congrats to Emily Lytle (ECS), Kaylan Pugh (St. Mary's) and Jasmine Cincore (Briarcrest) for making the Finalist list. Horn Lake (59) — Olivia Cunningham 20, Treasure Evans 1, A’Queen Hayes 9, Tae’lour Richardson 2, Alondrea Rush 20, Alexyse Thomas 4, Erika Toney 3. Tupelo-Miss. (52) — Hoskins 4, Jernigan 15, Partlow 10, Polk 6, Thomas 7, Sherer 10. Records — Horn Lake 21-1, Tupelo 23-2. Lewisburg (29) — Lindy Anderson 4, Madison Baldwin 9, Janice Farris 1, Britney Fisher 3, Destiny Gardner 5, Ashlea Harvey 7. DeSoto Central (61) — Mara Butler 2, Shayne Diaz 6, Stormy Green 7, Imani Johnson 9, Rodneyshia Martin 16, Nay Strickland 4, Lindsey Whiteside 3, Reana Wilson 14. Records — DeSoto Central 12-15. Center Hill (67) — Erin Cross 15, Reagan Elliott 3, Kiara Golden 37, Teirsten Saunders 12. Hernando (65) — Allie Bierman 3, Miracle Cobb 12, Kaitlin Jones 5, Savannah McCann 12, Aaliyaha Thornton 33. Records — Center Hill 18-7. Hamilton (68) — Brandy Davis 14, Keiona McDonald 13, Briauna Mitchell 25, Undrea Porter 3, Tesia Thompson 6, Tieasha Williams 7. Whitehaven (72) — Lake Blache 9, Tiara Coleman 16, Erica Dean 3, Ebony Malone 5, Maia McCoy 12, Orya Turner 5, Morgan Walton 8, Ariel Williams 14. East (12) — Promise Gray 2, K’Alya McKinney 3, Javeshia White 7. Overton (56) — Rodrea Echols 2, Kyler Green 14, Jalisa Jones 12, Fontennelle Walker 12, Kayla Williams 6, Anterrika Willis 10. Wooddale (41) — Tarsha Ivory 1, Andrea McElvaine 19, Deshona Richard 2, Shay Trent 19. Germantown (42) — Brianna Burks 16, Takira Clay 4, Brianna Cowans 13, Brittney Cowans 2, Kelsey Dolman 1, DeMarica Johnson 2, Kayla Jones 2, Scarlett Sadler 2. Kirby (41) — Cortney Banks 10, Marty Banks 4, Equria Patterson 3, Tierney Pettis 13, Juanita Walton 11. Houston (62) — Cheridan Burroughs 7, Aysha Harris 8, Marissa Knox 6, Sydney Malone 8, Alise Parker 2, Jaida Roper 23, Shannon Sharp 8. Southwind (24) — Kiante Butts 5, Dariya Drew 8, Destiny Henderson 3, Destinee Manning 2, Ebony Shaw 4, Jasmine Suggs 2. Collierville (30) — Jessica Brown 13, Vanessa Christensen 2, Kara Harbin 2, Kennedy Kivisto 1, Megan Loden 3, Kyra Pryor 5, Madison Rozier 4. Fairley (43) — Sabrina Alexander 2, Rougie Barry 2, Mildreca Cox 3, Marnesha Hamer 22, Tyesha Smith 14. Raleigh-Egypt (83) — Dynesha Echols 2, Brenda Fields 13, Corlisha Howard 13, Jerica Isom 11, Irena James 4, Manaya Jones 14, Kimberly Reed 14, Jasmine Rhodes 12. Haywood (39) — Summer Cunningham 8, Rashadda Dancy 4, Idalis Flagg 4, Alecia Johnson 10, Kayla Shaw 2, Kelsey Shutes 2, Wonderica Young 7, Takiyah Benton 2. Covington (69) — Kiara Booker 8, J’la Brandon 2, Chelsey Dye 4, Cyeisha Hall 5, Precious Harvey 1, Janekia Mason 23, Treasury Poindexter 11, LeShaundra Somerville 14, Tierra Williams 1. Records — Haywood 12-14, Covington 22-7. MAHS (17) — Carta Collins 4, Myaisha Stewart 7, Tysiana Wilson 6. Oakhaven (44) — T. Brown 6, L. Jones 17, M. Lewis 2, A. Smalls 5, S. Smith 3, L. Stancle 4, B.J. Wells 2, B. White 2, Derica Wiggins 3. Rossville Christian (30) — Kendall Leath 4, Caroline Loftin 8, Mary Catherine Mathis 3, Kara Novarese 5, Taylor Robertson 10. ECS (48) — Kate Jamison 4, Emily Lytle 13, Sarah Lytle 18, Molly Martin 5, Celia Owens 2, Avery Sippel 6. Records — Rossville Christian 12-13. Harding (58) — Kelsi Elkins 4, Alexis Franklin 3, Anna Horner 19, Antoinette Lewis 21, Rachel Maynard 2, Morgan Murphy 6, Callie Stubbs 3. St. George’s (39) — Catherine Cantu 4, Lindsey Cayce 5, Madeline East 3, Grace Hunt 3, Madison Lathum 4, Olivia Roberts 8, Shelby Sims 12. Records — St. George’s 15-11. Here is the schedule for the 16-AA girls tournaments at Manassas. (2) Raleigh-Egypt vs. (3) Trezevant, 1:30 p.m.
(1) Craigmont vs. (4) Manassas, 4:30 p.m.
Consolation, semifinal losers, 5:30 p.m.
Championship, semifinal winners, 7 p.m. Here are the all-district teams for 15-AAA girls, as voted on by the league's coaches. Olivia Roberts, St. George’s: Roberts had a career game for the Gryphons in a key victory over Division 2 rival Fayette Academy last Friday. The 5-9 junior scored 30 points on 11 of 15 shooting from the floor to lead St. George’s to a 60-49 victory. Manassas (46) — Joslynn Basemore 14, Ranisha Brown 10, Amisha Gales 6, Anterraka Malone 3, Shyanne Stevenson 11, Jasmine Walker 2. Douglass (44) — Marquera Carnes 5, Jahmere Dangerfield 6, Ashonti Harper 9, Lakesha Harper 7, Gazmyne Herndon 11, Benesha Rainey 6. MAHS (56) — Schuechia Anderson 15, Courtney Berry 3, Kendall Berry 16, Kierra Chambers 8, Carta Collins 4, Crystal Lindsey 6, Tysiana Wilson 4. Carver (50) — Mildred Goins 3, Brittany Kirkwood 2, Mishundra Mason 7, Octavia Moore 15, Lyric Stallings 23. Records — MAHS 15-12, Carver 11-10. Middle College (31) — Kelsey Barton 15, Lashondra Bush 14, Destiny Walls 2. Mitchell (67) — MyQuinice Caswell 7, Demiya Grandberry 16, Anterria Jackson 3, Erica Jackson 20, Nicole Johnson 2, Dominique McAdory 4, Kierra McCollins 7, Derinisha Taylor 8. Soulsville (34) — Alicia Guy 4, Zaire Hicks 12, Maria Mohammed 14, Tianna Williams 4. Oakhaven (91) — L. Jones 3, M. Lewis 16, Bridget Webb 17, B.J. Wells 6, B. White 4, Derica Wiggins 45. Hillcrest (35) — Kenyatta Echols 19, Monica Mayes 5, Moesha Overstreet 3, Brittany Smith 6, Destiny Young 2. Washington (59) — Dominique Chatman 4, Rakesha Curry 22, Kyla Harris 10, Myneisha Johnson 4, Tierney Keaton 8, Deneshia Lane 9, Lavesha Parish 2. Records — Hillcrest 4-14, Washington 19-7. Opening-round games will be held at campus sites and semifinals and finals will be held at White Station. Melrose at White Station, 6:30 p.m. Semifinals, 3 and 6 p.m. Semifinals and finals will be held at Mitchell High while other games will be held at campus sites. Mitchell at BTW, 6 p.m.
MAHS vs. Mitchell/BTW loser, 6 p.m.
Oakhaven vs. Mitchell/BTW winner, 6 p.m.
Kingsbury (25) — Taya Banks 3, Jessica Burnside 5, Canzis Echols 6, Martha Eddings 3, Denise Money 7, Irma Montes 1. Arlington (71) — Reagyn Branch 13, Nakia Grandberry 12, Callie McMorran 3, Torrie Sewell 22, Haylee Smith 2, Samantha Souers 9, Raylin Starks 10. Records — Arlington 20-5 (10-0, 14-AAA). Millington (29) — Tamia Aldridge 2, Tasia Bland 2, Ceykia Christopher 2, Glenda Garner 6, Kiana Johnson 6, Kendra Richardson 11. Bartlett (51) — Taylor Bridges 2, Madison Carroll 3, Bethany Davis 4, Stella Gill 3, Jessica Jackson 20, Shelby Organ 2, Tavia Rodgers 17. Records — Bartlett 9-14 (6-4, 14-AAA). Cordova (24) — Michaela Campbell 12, Zakyia Head 1, K’yanna Terry 11. Bolton (50) — Destiny Arnold 11, Kayla Bolden 14, Samaria Grandberry 12, Jaelyan Jones 2, Kiersten Rodgers 4, Charity Savage 6, Taylor Smith 1. Records — Bolton 17-9 (8-2, 14-AAA). Ridgeway (72) — Kendra Boone 5, Oreona Brown 6, Alexis Bryson 11, Eryn Foster 4, Breounna Humphrey 20, Ashley Jackson 15, Tierany Paylor 3, Ciara Pettis 3, Kiara Pettis 3, Kierra White 2. Collierville (42) — Amber Baldwin 2, Jessica Brown 17, Vanessa Christensen 3, Cullen Crocker 3, Kara Harbin 4, Kennedy Kivisto 2, Megan Loden 3, Kyra Pryor 5, Madison Rozier 3. Records — Ridgeway 24-1 (12-0, 15-AAA), Collierville 11-14 (6-6). Kirby (34) — Cortney Banks 16, Marty Banks 4, W. Holliway 2, Shakira Neal 1, Tierney Pettis 9, Juanita Walton 2. Houston (64) — Cheridan Burroughs 6, Mary Collins 4, Aysha Harris 15, Marissa Knox 4, Sydney Malone 4, Madeson McCaster 2, Alise Parker 4, Chanda Reid 7, Jaida Roper 9, Shannon Sharp 5, Riley White 2, Shaela Gardner 2. St. Benedict (45) — Bailey Coppedge 2, Kaitlin Haynes 3, Courtney Parker 5, Erin Peel 8, Braxton Powers 9, Theresa Stoddard 18. Hutchison (22) — Anna Amagliani 3, Griffin Gearhardt 2, Carolyn Kelley 7, Macy McCullough 8, Reba Moody 2. Records — St. Benedict 17-7 (5-3, Div. 2-AA), Hutchison 7-13 (0-8). Briarcrest (43) — Julianne Bryson 3, Jasmine Cincore 5, Brynn Holden 10, Elise Holden 5, Kathryn Newman 6, Kalynn Parks 8, Gabby Salazar 3, Lindsey Taylor 3. St. Agnes (22) — Caroline Cook 6, Wallis Jenkins 6, Amanda Lammey 4, Nicole Mabry 3, Sarah Sneed 3. Records — Briarcrest 27-0, St. Agnes 19-9. Germantown (51) — Brianna Burks 6, Takira Clay 5, Brianna Cowans 9, Brittney Cowans 2, Kelsey Dolman 2, DeMarica Johnson 2, Kayla Jones 2, Brittney Parmenter 18, Scarlett Sadler 5. Wooddale (41) — Andrea McElvaine 18, Deshona Richard 2, Shay Trent 20, Brianca Williams 1. Records — Germantown 13-12 (9-4, 15-AAA). 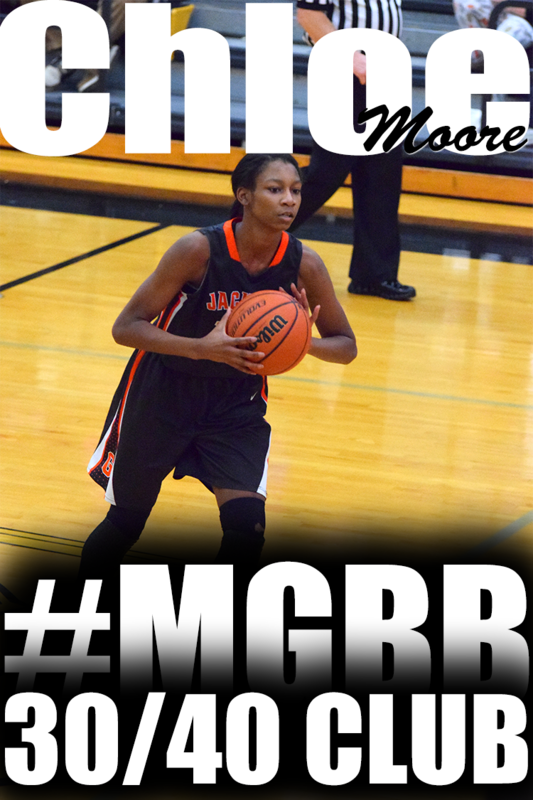 Sheffield (23) — Breanna Beason 10, Makayla Billups 4, Alaneshia Bullock 3, Jasmine Guy 4, Shamar Smith 2. Trezevant (55) — Ashleigh McGhee 8, Brandy Shannon 2, Kahdejah Stevens 22, JaQueisha Vaughn 2, Kourtney Walton 8, Marcee Williams 8, Andrea Willis 5. FACS (43) — Shalanda Berkley 2, Samantha Choukalas 2, Miller Cole 22, Bionka Massie 13, Madison Messmer 2, Carmen Moore 2. Fayette Aca. (44) — Anna Barron 2, Rebecca Fletcher 2, Abbie Hilliard 3, Amber Johnson 18, Rebekah Moffatt 2, Holly Slocum 4, Margy Westbrook 13. Records — Fayette Aca. 18-10. Tipton-Rosemark Aca. (15) — Taylor Beasley 4, Bethany Berger 7, Brooke Bridges 2, Abby Naifeh 2. Harding (68) — Kelsi Elkins 4, Alexis Franklin 2, Valecia Harris 5, Anna Horner 12, Carmen Jones 3, Antoinette Lewis 18, Rachel Maynard 13, Morgan Murphy 6, Elaine Savage 2, Callie Stubbs 3. 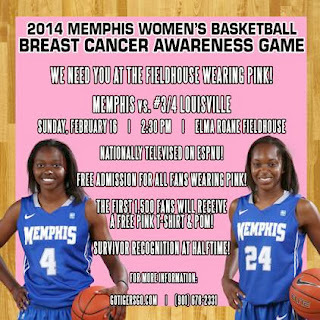 Lausanne (40) — Kat Delpriore 3, Rickelle Henry 2, Tamia Jones 1, Reagan Patrick 6, Selena Pruitt 18, Princess Stark 10. Rossville Christian (45) — Kendall Leath 4, Caroline Loftin 17, Mary Catherine Mathis 6, Kara Novarese 5, Taylor Robertson 13. Records — Rossville Christian 12-12. Sacred Heart of Jesus (42) — Anna Easley 10, Hannah Fitzgerald 5, Alana Graham 4, Brianna Hunt 23. St. Mary’s (62) — Ellen Cowens 8, Margaret Cowens 2, Abby Huber 3, Kelsie Jones 2, Mary Caroline Newman 5, Kaylan Pugh 24, Wesley Richards 4, Mary Harper Robinson 10, Brett Silver 2, Meredith Wells 2. Records — St. Mary’s 12-8. Others receiving 12 or more points: Cloudland 25. Community 12. FCA Nighthawks (47) — Bailye McCune 2, Jennifer Milewski 10, Samantha Price 7, Charlotte Smith 2, Grace Wade 24, Sarah Wakefield 2. Munford (37) — Phenicia Howard 2, Shania Johnson 7, Johnna Jones 2, Precious Mills 6, Lindsey Owen 7, Kierra Richardson 6, Alex Wherry 7. Records — FCA Nighthawks 18-6, Munford 16-11. Westwood (42) — Angelina Blue 6, Breanna Boyd 5, Marnique Burton 19, Jerica Johnson 6, Cyrsta Nelson 2, Stephanie Washington 4. Frayser (17) — Tessiah Clark 6, Angelia Liggins 5, Quiesha Paige 2, Charlesetta Riley 4. KIPP (22) — M. Bishop 5, N. Maxwell 4, S. Miller 3, D. Moore 10. Carver (50) — Mildred Goins 3, Brittany Kirkwood 2, Mishundra Mason 11, Octavia Moore 14, Lyric Stallings 18, Tarcianna Sutton 2. Records — KIPP 0-13, Carver 11-9. MASE (37) — C. Harris 2, T. Stewart 2, Breyanna Warren 15, Tyanna Warren 18. MAHS (67) — Schuechia Anderson 10, Courtney Berry 7, Kendall Berry 9, Kierra Chambers 16, Carta Collins 2, Crystal Lindsey 19, Myaisha Stewart 2, Laquel Burns 2. 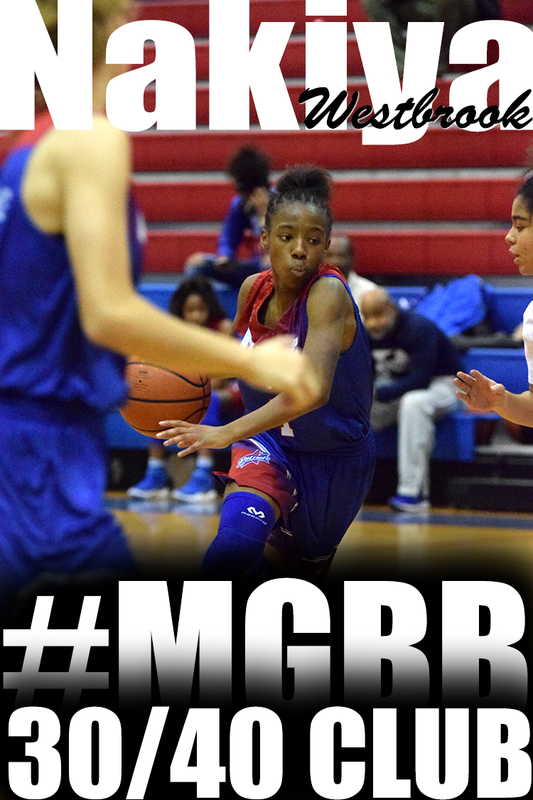 MBA (32) — D’Arreikya Fields 7, Symphany Gillard 3, K. Jones 2, Shemira Murray 18, D. Pickett 2. Middle College (39) — Kelsey Barton 14, Lashondra Bush 13, Ebony Johnson 4, Destiny Walls 8. Hillcrest (39) — Kenyatta Echols 18, Monica Mayes 6, Moesha Overstreet 6, Brittany Smith 1, Mary Wilson 3, Destiny Young 5. Northside (35) — Diamond Adams 4, Davida Beal 3, Amber Cohen 4, Shunteai Jones 3, Lindsey Laird 7, Joy Westbrook 14. Power Center Aca. 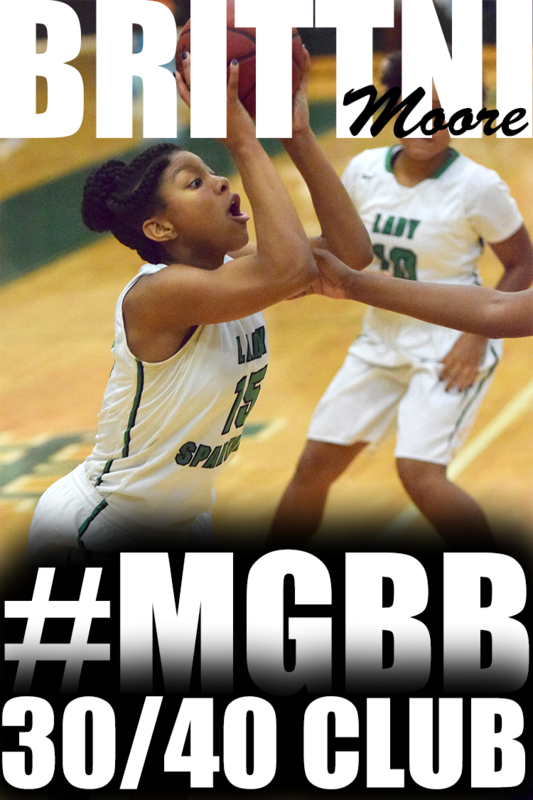 (36) — Kelsey Banks 10, Maya Crutcher 1, Jenice Garrett 4, Allison Sledge 7, Jasmine Smith 2, Rhaja White 12. Soulsville (40) — Alicia Guy 7, Zaire Hicks 16, Maria Mohammed 14, Tianna Williams 3. My niece played her first season of basketball. She’s in the the 5th grade. She came off the bench. She didn’t get many minutes. She never scored any points. However, she had fun. She enjoys the game of basketball. She had her moments when she didn’t know what to do. She didn’t understand why sometimes she only played less than 1 minute. I told her not to worry about playing time but to focus and learn about how to play the game, the rules of the game and playing on a team. Some things I enjoyed during her first season of basketball: Her looking over at me in the stands during warm up after attempting her layups. Her coming over to the bleachers before heading to the bench to get her bottle of Gatorade or water. Then saying “Thank you, Auntie.” Her facial expression when her coach told her to check-in for the very first time. When she started jumping for rebounds, after I worked with her on jumping. Her first free throw attempt during a game. Her reaction while watching video of herself playing basketball. Her running faster during games because she saw how slow she was running while watching the video of herself. And sitting in the stands answering basketball questions from her little sister, who is in the 1st grade and will be starting her first season of basketball in a couple of weeks. 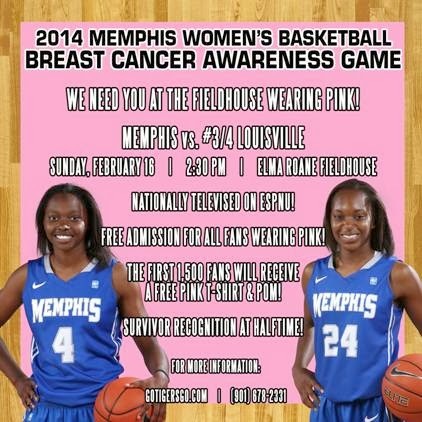 Oakhaven showed that it was more than just the Derica Wiggins show Sunday at FedExForum. Mar'Shea Lewis scored 14 of her 20 points in the third quarter and B.J. Wells had a near triple-double to lead the Hawks to a 62-27 victory over Booker T. Washington in the SCIAA Class A girls county championship game. Lewis connected on four 3-pointers in the third period to help the Hawks (17-1) extend their 12-point halftime lead. Wells meanwhile finished with 10 points, 18 rebounds and nine blocks. Wiggins, the city's top scorer at 33.6 per game, finished with 23. Freshman Kyla Harris had eight points to lead BTW, which had just two field goals in the first half. After finishing 12-17 a year ago, Craigmont can now add a trophy to its case. The Chiefs won the SCIAA AA girls championship Sunday at FedExForum, holding off Raleigh-Egypt, 59-56. Craigmont had a 47-35 lead in the third quarter before the Pharoahs began to claw their way back in. After LaKeidra Greer hit 1 of 2 free throws to put the Chiefs ahead 59-56 with 6.5 seconds left, Raleigh-Egypt failed to get off the potential tying shot. Danielle Conley had 19 points to lead the Chiefs, 12 in the third quarter. 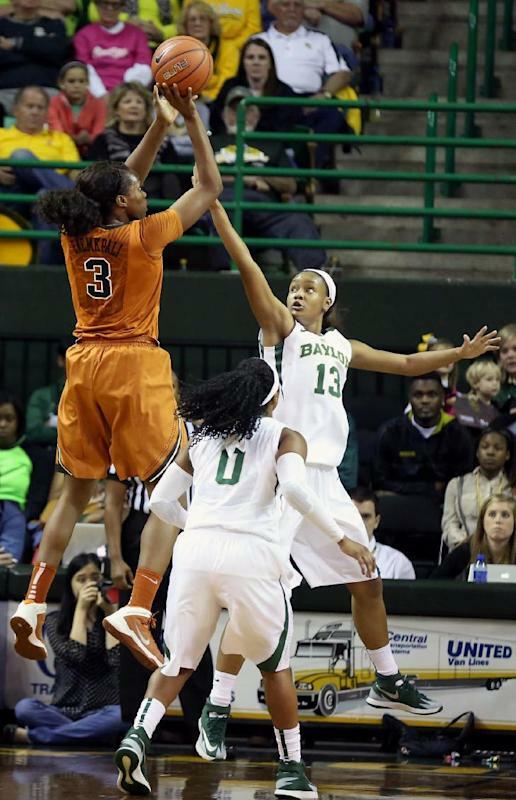 Alexis McFarland came off the bench to score 11, including three 3s. Brenda Fields had 19 points and nine rebounds to lead Raleigh-Egypt. Ridgeway won the SCIAA AAA girls championship Sunday at FedExForum, coming back from a six-point halftime deficit to defeat Central, 63-54. Ridgeway, ranked second in The Commercial Appeal's Dandy Dozen, trailed 30-24 at halftime but outscored the Lady Warriors 19-6 in the third quarter to take command. Ashley Jackson earned game MVP honors for the Roadrunners, finishing with 18 points, seven rebounds and four steals. Brandi Beasley added 14 points, three assists and three steals while Eryn Foster had 14 points and six rebounds. Darriel Johnson had a game-high 21 for Central, while twin sister Dereka had 16. Tennessee State signee Tia Wooten finished with 11. The game was a rematch of last year's MIAA city championship game, also won by Ridgeway.